Home/Conservatories, Uncategorized/How to decide which range of UPVC Windows to choose for your Home. Will your uPVC windows look good? Will they be sympathetic to the overall building design? Will they exceed the most rigorous energy efficiency targets, minimising my heating bills? Will they provide the highest levels of safety and security? 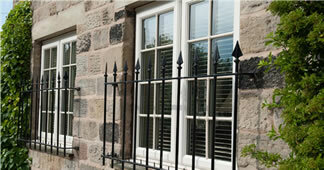 Are these uPVC windows available in a wide range of styles and colour choices? Is there a range of matching doors, roofs and other products available? Will the products be guaranteed? The Posh Homes window range is different to other double glazing companies in Peterborough. Our window range was designed from scratch using the latest developments in uPVC window technology. These uPVC windows are engineered to create an individual appearance for every home, our double glazing range pushes the boundaries of possibility with our window range that doesn’t even look like uPVC. With our double-action bubble gasket offers continuous seal, even in the corners, making draughty windows a thing in the past.